As many of you heard - or perhaps saw on my Twitter feed - Spanish operatic legend, Dame Montserrat Caballé has been hospitalized in Barcelona after suffering a minor stroke while visiting Russia. 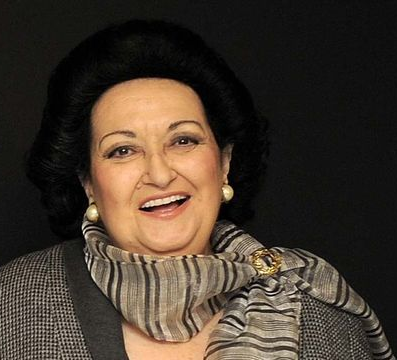 A Sant Pau hospital spokesman, who spoke under condition of anonymity, said Tuesday that the 79-year-old soprano has been in intensive care since arriving from Russia on Saturday. He said she was responding favorably to treatment and has not lost consciousness or suffered paralysis. But, the official said Dame Caballé had fallen at the time of the stroke and broken an arm. In honor of Dame Caballé - and, in some sense to wish her well - I recommend that you stop what you're doing this instant and purchase the Euroarts Documentary, Caballe: Beyond Music. And get this, if you don't want to buy it, you can rent it. Yep. You can. Renting videos *is* still a thing. Head over to Medici.TV to find out more. You know, Chiclets, I love a good documentary. Especially when it comes to documentaries about opera singers. There is nothing better. This one ... this Caballe: Beyond Music ... is one of my top three favorites. The other two on my list of top three faves are this one and of course, this one. Anyhoo, as you think of Dame Caballé today and send a little healing energy her way - here's a little teaser for Caballe: Beyond Music. Enjoy! And, Dame Montsy, les deseo mucha fuerza y curación. Recupérate pronto!